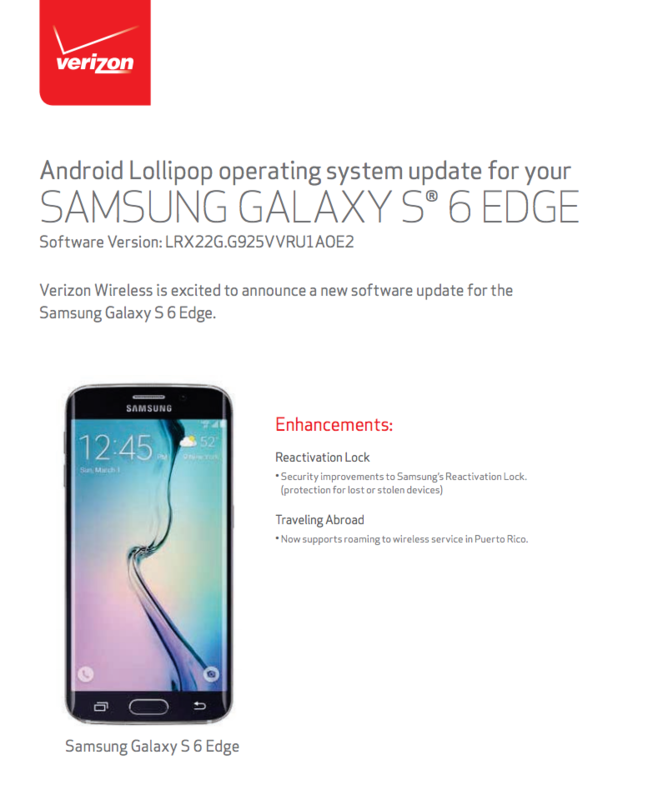 Verizon began pushing a new update to the Samsung Galaxy S6 and Galaxy S6 Edge this morning, an update that adds security improvements to Samsung’s Reactivation Lock. The update also added in roaming support for Puerto Rico. And that’s it! 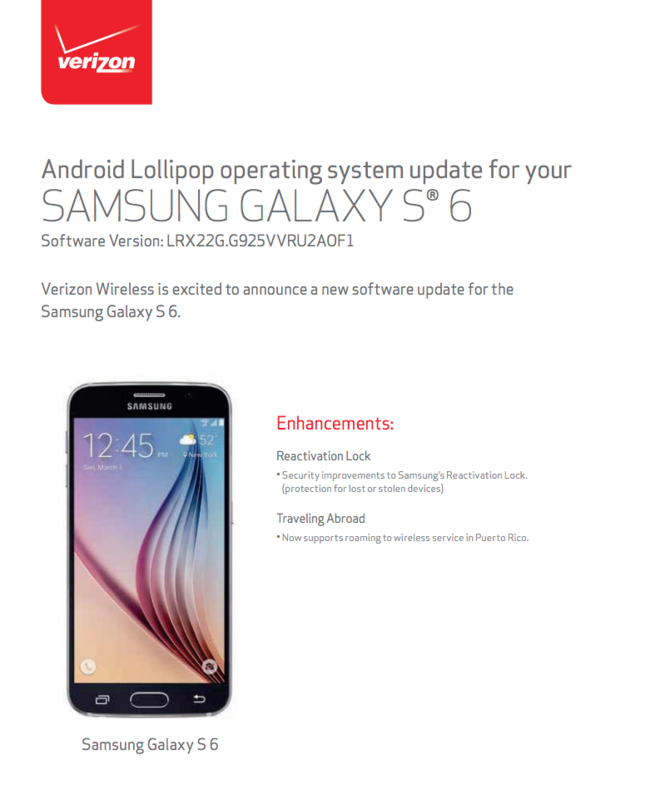 The update is incredibly small for each phone, takes 10 minutes to install, and is still Android 5.0.2. 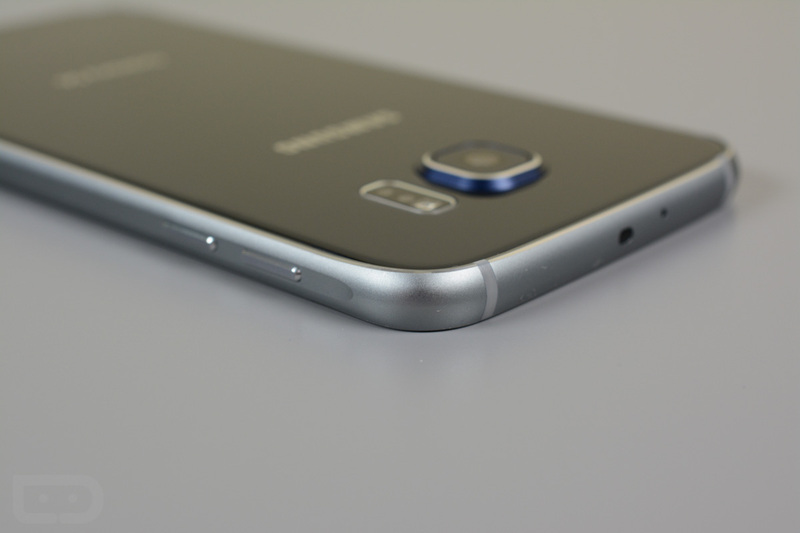 Build numbers post update are VRU2AOF1 for the Galaxy S6 and VRU1AOE2 for the S6 Edge. The update appears to be live for all, so feel free to jump into Settings>System updates>Check for new system update. Cheers John, Jody, and Michael!